LibreOffice 5.0 ships this week, and it brings a host of improvements that users will be excited about. There are changes in all of the applications which make up the suite, and there are significant changes to the shared code, too. Writer and Calc are the apps that I use most often, so I'm really glad to see the number of useful improvements in these areas. 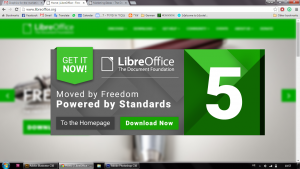 UPDATE 12:16pm GMT August 5, 2015: LibreOffice 5.0 has been released and is immediately available from the following link: http://www.libreoffice.org/download/. Using a Linux-based operating system is all about making a choice in favor of free, standards-based software. But it's still important to be able to exchange files with users of proprietary software. For most users, this really becomes an issue where office software is concerned. Although LibreOffice (and OpenOffice.org before it) has always been compatible with Microsoft's Office suite, it's never been 100% complete. Small incompatibilities have often led to glitches that required workarounds. This has especially been true where files contained embedded objects such as images or audio files. Text highlighting was another feature which was sometimes messed up when importing Microsoft files. LibreOffice 5.0 has addressed a number of these issues. This will lead to a more consistent presentation of documents across platforms (i.e. complex documents and presentations won't look broken). If you love using emojis, then you'll be glad to know that Writer has added shortcode support. It translates easy-to-remember shortcodes such as :family: and :flags: into their Unicode 6 counterparts. It's possible to crop images in Writer using a simple interface. Although Writer is never going to replace Gimp as a full featured image editor, it helps to be able to make these small changes without opening another application. Calc has improved support for pivot tables and allows item labels to be repeated multiple times now. Conditional formatting (which has been around for several releases now) has an improved UI. The conditional formatting is also preserved when exporting to the Microsoft XLSX format. Spreadsheet functions have been upgraded, too. Some new functions have been added, for Excel compatibility. And other functions have optional parameters to make them fully compatible with OpenFormula. Row and column references have been improved. Now it's possible to use references such as A:A instead of A1:A1048576. That's obviously an improvement in readability, and it's also a purer expression of the concept of an entire column. Although spreadsheets have a finite number of rows, a column is theoretically infinite - using a reference such as A1048576 breaks that illusion, and it could break the formula too if the maximum number of columns increased in the future. Ok, not many spreadsheets have over a million rows. Still, I like the new format more. There are lots of other improvements, too. It would be great to cover them all, but we're running out of space. You can see the (pre-release) release notes at https://wiki.documentfoundation.org/ReleaseNotes/5.0 - as you will see, the document isn't complete yet, and there are plenty of notes calling for revisions or clarifications. Nonetheless, there's a lot to look forward to!